Administrative Law Judge Suzanne Dugan, Office of Administrative Hearings (OAH), State of California, heard this matter in Baldwin Park, California, on November 24-25, 2008, and December 1-4, 2008. David J. Kim, Attorney at Law, represented Student’s Mother, who attended every day of the hearing. Meredith B. Reynolds, Attorney at Law, represented the Baldwin Park Unified School District (District). The District’s Coordinator of Special Education, Mary Beltran, attended every day of the hearing. The District filed a request for due process hearing in OAH case number 2008080193 on August 7, 2008. Student filed his first amended request for due process hearing in OAH case number 2008080953 on August 29, 2008. On September 9, 2008, Student’s motion to consolidate was granted. Applicable timelines in OAH case number 2008080953 were ordered to apply to the consolidated matters. At hearing, the matter was continued to allow for written closing arguments by December 24, 2008, when the record was closed and the matter was submitted. D. Failing to provide services in Student’s annual IEP of December 12, 2005, the addendum IEP of April 14, 2006, and the addendum IEP of June 9, 2006, in S/L, behavioralist support, counseling, counseling-parent training, home instruction, tutoring support, behavioral assistant support, and nursing services. E. Failing to provide Parent with prior written notice of its failure or refusal to offer (1) S/L services in the December 9, 2006 IEP, and (2) academic instruction and related services from August 28, 2006 to August 1, 2007? E. Failing to provide Parent with prior written notice of its failure or refusal to offer (1) behavior therapy as recommended in the behavioral assessment dated January 20, 2008, by Sofia Sanchez, and (2) auditory evaluation as recommended in the Occupational Therapy (OT) Assessment dated February 1, 2008, by Gene Hurwin? 1 The issues have been reorganized for clarity, but are the same issues that were determined at the prehearing conference. At the hearing, Student dismissed Issue IX in the prehearing conference order. The parties stipulated that Issue III in the prehearing conference order contained a typographical error and that the date should read September 29, 2006, instead of September 29, 2008. 2 Ms. Sanchez was an aide when she worked at Elliot. She conducted her behavioral analysis of Student in December 2007 as part of her practicum while studying for her M.S. degree. The District asked that she have her professor approve the analysis, and the professor did so. The District offered no competing analysis. 3 Since Student’s amended complaint in this matter was filed on September 29, 2008, the two-year statute of limitation bars litigation of the sufficiency of the December 13, 2005 IEP and its April 24 and July 9, 2006, addenda as written. It does not bar contentions about the operation of those IEPs on and after September 29, 2006. 4 Mother testified that in October 2008, she temporarily stopped Student’s educational services since he has such severe difficulty with the side effects of medication changes. There was no evidence, however, that this was medically or educationally necessary. 5 Neither party makes any argument about the cost of placement, so the issue will not be considered here. Did the District’s July 21, 2008 offer of placement and services, which would have placed Student at Canyon View School (CVS), offer Student a FAPE in the least restrictive environment? Student requests that the ALJ order compensatory education including an increase in academic instruction of 5 hours weekly, S/L services of 180 hours that the District failed to provide, and behaviorist services of 180 hours that the District failed to provide. The District requests a declaration that its proposal to place Student in CVS constitutes the offer of a FAPE and may be immediately implemented. If compensatory education is awarded, the District asks that services be delivered outside Student’s home, and conclude by 6 p.m.
1. Student, a sixteen-year-old boy, resides within the District with Mother. He receives special education and related services in the categories of autistic-like behavior, speech and language disorder, and has a cognitive capacity significantly below the average general intellectual level. 2. For most of 2006, Student attended Elliot Institute (Elliot), a non-public school (NPS), pursuant to IEPs agreed upon by Mother and the District. At an IEP meeting on December 12, 2005, the District proposed an IEP that has been treated as an agreement between the parties. It does not bear Mother’s signature, but Carol Lew, special education coordinator at the time, testified that she believed Mother may have later signed it. After an incident at Elliot involving Mother and an Elliot staff person, Mother withdrew Student from the school. At a meeting on April 24, 2006, Mother and the District agreed to an IEP addendum that placed Student in home instruction, with speech and language services, until another placement could be found. The addendum was to the December 12, 2005 IEP meeting. In another addendum dated June 9, 2006, the parties agreed upon the addition of certain services. The June 9, 2006 addendum expressly incorporated the December 12, 2005 IEP, and stated that new services were being “added.” The weight of evidence, then, shows that Student’s program in the spring of 2006 was governed by the combination of the December 12, 2005 IEP; the addendum of April 14, 2006; and the addendum of June 9, 2006, incorporating the December 12, 2005 IEP. The District was obliged to deliver the services promised in those three documents. 4. The District was unable to locate a suitable academic teacher for Student. Mother located Pat Kreyssler, who is credentialed to teach autistic children, and the District agreed to contract with her. In late October 2006, Ms. Kreyssler began to teach Student two days a week in an empty classroom furnished by the District at Bursch Elementary School. No other students were present. In this setting, Student progressed from reading at the kindergarten level to the early second grade level, and began to develop an interest in learning. 5. In an IEP agreed to on December13, 2006, Student’s placement remained in home instruction. His services no longer included S/L. In addition, his OT was changed to five times a week for 60 minutes per session, APE to two times a week for two hours per session, and Pool Therapy to one time a week at two hours per session. There were no other agreed services in the IEP. 6. Several times during the school years 2006-2007 and 2007-2008, the District offered to place Student at other NPSs, but Mother did not agree to the offers. Student remains on home instruction until these disputes are resolved. 7. A district is required to assess a child in all areas related to a suspected disability, including, if appropriate, suspected difficulties in hearing. The parties agree that the District did not assess Student for hearing problems during the school year (SY) 2006-2007. Mother contends that the District should have done so, because it had ample reason to suspect that he had hearing problems. The evidence supports her claim. 8. Before 2005, when Student was about nine or ten years old, the District’s then special education coordinator drove Mother and Student to an audiology evaluation. The examiner recommended audiology intervention services and the use of the Tomatis program. For a time, Student received auditory integration services pursuant to an IEP, but the services were dropped from his IEP on March 10, 2005, without explanation or agreement. The District promised to investigate possible courses of action for Student’s hearing, but there is no evidence that it did so. Mother testified credibly and without contradiction that the auditory services were stopped due to the District’s failure to pay the provider. 9. In 2005, the District began to provide recreational coaching to Student by contracting with a non-public agency (NPA) that employed movement coach Sargis Akopyan, who continues to work with Student. Mr. Akopyan, who sees Student several times a week, testified that he noticed no particular sound sensitivity in Student in SY 2005-2006. However, he noticed that Student’s sound sensitivity increased in the following school year. He testified that Student sometimes holds his hands over his ears to block out loud noises. Ms. Kreyssler gave similar testimony. 10. The District argues that there was no need to assess Student for hearing problems in SY 2006-2007 because he was examined by a nurse during SY 2007-2008, just before his January 24, 2008 triennial IEP meeting. The nurse found he had normal hearing and did not need a referral for an audio evaluation. However, this evidence does not specifically refute the observations of Mother, Mr. Akopyan, or Ms. Kreyssler. At most, it shows that the existence and extent of Student’s hearing difficulties were in dispute. Moreover, the evidence was not obtained until the middle of the next school year, and thus has no bearing on the District’s knowledge or duty in SY 2006-2007. 11. Because of the previous audiological recommendation and delivery of services, and the testimony of Mother, Mr. Akopyan, and Ms. Kreyssler, the weight of evidence showed that, throughout SY 2006-2007, the District had ample reason to suspect that Student might have hearing difficulties that needed to be addressed. However, it failed to assess him for that suspected disability. In failing to assess him, the District denied him a FAPE. 12. A district is required to identify a student’s unique educational needs and to provide special education and related services designed to meet those needs. An IEP must be reasonably calculated to provide the student with some educational benefit. 13. As stated above, Student had a unique need in the area of audiology sensitivity. At no time during SY 2006-2007 did Student’s educational program address his audiological sensitivity. 14. Ms. Kreyssler testified that Student’s untreated audiological sensitivity interfered with his education because he could not learn while he was suffering from it, and because it sometimes drove him to undesirable behaviors. This testimony was confirmed by Mother, and by the testimony of Sofia Sanchez, a behaviorist who had known Student at Elliot. At one point, the District must have agreed that the need required attention, because it had audiological services in Student’s IEP until March 10, 2005. The District offered no evidence that Student’s witnesses were incorrect, or that his hearing problem had been ameliorated. The weight of evidence thus showed that the District’s failure to address Student’s unique need for audiological services interfered with his education and denied him a FAPE. 15. When a student’s behavior impedes his learning or that of others, a school district is required to consider the use of positive behavioral interventions and supports, and other strategies to address that behavior. When behavioral difficulties are serious, one of the required interventions is the creation and implementation of a behavior intervention plan (BIP). At an IEP meeting on December 13, 2006, the parties agreed on a new IEP. Student contends that the District failed in that IEP to address his unique need for behavior intervention, including a BIP. 16. Student has a significant history of behavioral difficulties in school that was known to the District before SY 2006-2007. S/L therapist Rosa Quezada, then at Elliott, reported to a December 12, 2005 IEP meeting that Student had hit one of the female therapists at Elliot and engaged in inappropriate sexual behavior. The IEP team decided at that meeting that Student’s behavior impeded his learning and that he required a Behavior Teaching Plan, but a Behavior Teaching Plan was not developed for the December 12, 2005 IEP. The resulting IEP included the services of a behavioralist. In the June 9, 2006 IEP addendum, the parties agreed to add the service of a behavioral assistant, who was to help Mother with Student at home and during transportation of Student to and from school. 17. Movement coach Akopyan established that in SY 2006-2007, Student became increasingly aggressive as he grew, and gradually became a danger to others. Student weighed over 200 pounds and was approximately six feet tall. His behavior included hitting, kicking, and pinching, while digging his nails into the skin of other people. It took more than one adult male to calm Student when he became agitated. Student lacked self-control, exhibited inappropriate sexual behavior towards coaches, publicly masturbated, and attacked Mr. Akopyan. 18. Ms. Kreyssler established that when Student became enraged, he turned over furniture, including desks that were too heavy for her to lift, and tried to grab and hit her. When Student became agitated, it took an hour to calm him down. Only by working with Student over an extended time was she able to anticipate his aggressive behavior and to distance herself from him. 19. Mother testified that when Student was agitated, he attacked her. Sometimes, while being driven to school, Student would reach over the seat and grab the steering wheel. 20. At Mother’s request, behaviorist Sofia Sanchez completed a Functional Behavior Assessment for the District that was dated December 6, 2007. 2 She saw in Student the same non-compliant and repetitive behaviors that she had observed at Elliott, including pinching, grabbing, scratching, kicking, hair pulling, and hitting. 21. Gene Hurwin, an occupational therapist whom the District had hired for Student, wrote on January 31, 2007, that Student’s behavior included frequent self-stimulation, inability to rein in his actions when around other students and staff, trying to pull a female coach’s pants down, and looking under the skirt of another female coach. 22. The testimony of Mr. Akopyan, Ms. Kressyler, Ms. Sanchez, Mr. Hurwin, and Mother showed persuasively that Student, during SY 2006-2007, engaged in behaviors that were self-injurious and assaultive. His undesirable behaviors were pervasive and maladaptive, and the instructional and behavioral approaches in his IEP were ineffective in restraining this behavior. That evidence also showed that this behavior seriously impeded his education. The District does not argue otherwise. 23. Although the District was aware of Student’s increasing behavioral difficulties and their effect on his education, the District did not address his unique need for behavior intervention services and a behavior intervention plan (BIP). The District does not advance any reason why it should not have done so. By failing to address that need, the District denied Student a FAPE. 24. The December 13, 2005 IEP, as modified by the June 9, 2006 addendum, included counseling, parent training, nursing, and APE services. The evidence did not show that these services, if properly delivered, would not have addressed Student’s unique needs for them. The services were promised in Student’s IEPs. As shown below, with the exception of APE, they were simply not provided. The District did not, therefore, deny Student a FAPE by failing to address these unique needs at the time those documents were written. 3 These services were not part of the agreed services in the December 13, 2006 IEP. 25. If necessary to address an area of disability, an IEP is required to include a statement of measurable annual goals, and a statement of how the child’s progress toward the annual goals will be measured. 26. Pursuant to his December 12, 2005 IEP, Student received S/L services five times weekly for 60 minutes each session while he was at the Elliot Institute. The IEP included S/L goals. The addendum of June 9, 2006, did not alter that service. 27. Before the December 13, 2006 IEP meeting, Student had been eligible for special education and related services in the category of autistic-like behavior. At that meeting the IEP team decided that Student was also eligible due to a S/L disorder. According to the IEP documents, this disorder impaired his oral and written expression, fluency, conversational skills, and organization of thought. However, the IEP that was offered and signed on that date contained no S/L goals or objectives. 28. Carol Lew, the District’s coordinator of special education at the time, testified that S/L goals were not developed at the December 13, 2006 IEP meeting because a speech pathologist was not present. Other than that, Ms. Lew did not know why S/L services were not addressed, and the District presented no other evidence on the subject. 29. In light of the District’s long-standing recognition of Student’s S/L needs and its decision on December 13, 2006, to declare him also eligible for special education because of a S/L disorder, the District’s failure to offer or provide any S/L goals or objectives denied Student a FAPE. 30. In order to provide a FAPE, a district must deliver special education and related services in conformance with a student’s IEP. A denial of FAPE occurs when a district materially fails to implement a student’s IEP. A material failure occurs when there is more than a minor discrepancy between the services provided to a disabled student and those required by the IEP. 31. Student contends that after Student was withdrawn from Elliott and placed in home instruction, most of the services promised to him in the December 2005 IEP and its July 2006 addendum, and in the December 2006 IEP, were not in fact provided. The services allegedly not provided were S/L services, behavioralist services, counseling, parent training, home instruction, tutoring support, a behavioral assistant, and nursing services. 32. With some exceptions, the evidence supported Student’s argument. Ms. Kreyssler’s twice-a-week teaching accounted for most of the required academic instruction, and Student did have the support of a behavioral assistant, though not a behaviorist. Otherwise, substantial evidence in the form of testimony from Mother, Ms. Kreyssler, and Mr. Akopyan showed that the promised services were not delivered during SY 2006-2007. 34. Mother did not disagree with Ms. Beltran’s calculations of the services not supplied. The parties thus agreed at hearing that these services were not delivered, and also agreed on the quantities not delivered. The District argues that it is only responsible for the shortfalls in S/L and academic training, because these are the services added by the April 24 and June 9, 2006 addenda. However, as shown above, the District is also responsible for the other services required by the incorporated December 12, 2005 IEP, which may have been signed by Mother and which, in any case, was treated by the parties as part of Student’s program. 35. In its closing brief, without mentioning Ms. Beltran’s testimony, the District now argues that Student failed to prove that these services were not delivered because Mother’s logs of services lacked sufficient details, such as location and time of day. In light of Ms. Beltran’s testimony, the District’s argument is wholly unpersuasive. 36. The District attempts to justify its failure to deliver services by blaming Mother for “insisting on continuing the home instruction placement” and refusing its many offers of placement in various NPSs. According to the District, it tried to find service providers for Student, but once the prospective providers heard of the difficulties involved in serving him at home, they refused to accept contracts. This argument is fundamentally flawed. The home placement was agreed to by the District in the April 24, 2006 IEP and its June addendum. Mother had every right to “insist” that the District adhere to the program to which it had agreed. 37. Moreover, the District had both a legal remedy and a legal duty to resolve the impasse between itself and Mother. 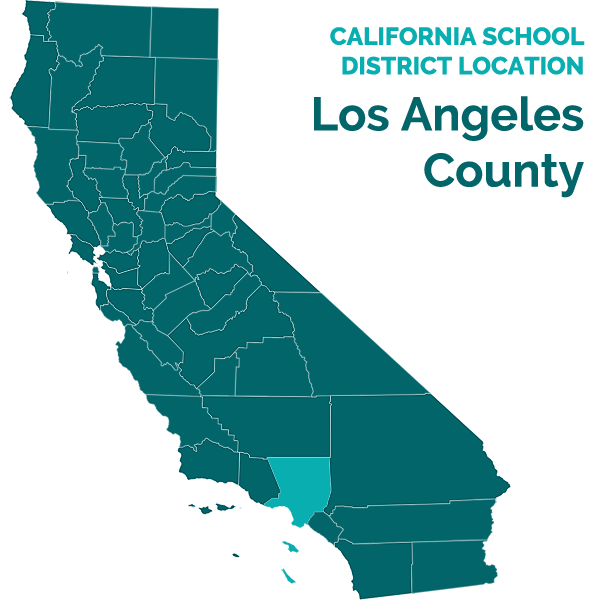 When a parent refuses to consent to the receipt of special education and services, after having consented in the past, California law requires that the school district seek resolution of the impasse by filing a request for a due process hearing. If the district believes that implementation of all or part of an IEP to which the parent will not consent is necessary to provide the student a FAPE, it must seek an order from an ALJ in a due process hearing allowing it to use that IEP. If the District believes it is not providing a FAPE under the extant IEP, its duty to resolve the impasse is mandatory. The district may not simply sit idly by and fail to serve the student because it cannot reach agreement with a parent on another placement. If it was impossible for the District to find providers to serve Student at home, the District should have promptly concluded that it could not provide Student a FAPE in the manner promised, and sought an order from an ALJ in a due process hearing authorizing it to implement one of the IEPs it preferred, placing Student in an NPS. The District’s failure to provide services to Student at home is its own responsibility and cannot be blamed on Mother. 38. The evidence showed that the District’s failure to provide the required services from the IEPs was material and more than a minor discrepancy from the IEPs that called for those services, and therefore resulted in a denial of FAPE to Student. 39. A procedural violation of the Individuals with Disabilities in Education Act (IDEA) may constitute a denial of FAPE when the violation impedes the child’s right to a FAPE, causes a deprivation of educational benefits, or significantly impedes the parents’ opportunity to participate in the decision making process regarding the provision of FAPE to their child. 40. A school district must give written notice to parents before it initiates or refuses a change in a student’s identification, evaluation, or educational placement. The notice must describe the action proposed or refused, explain why the district proposes or refuses to take the action, describe the documents underlying the decision, describe the factors relevant to the decision, explain why other options were rejected, and inform parents of their procedural rights with respect to the decision. 41. Student contends that the District failed to give prior written notice that, at the December 13, 2006 IEP meeting, it was removing S/L services from the new IEP. However, Mother signed the document. This act was some evidence that she understood what the IEP lacked as well as what it offered. In that sense, the IEP document itself constituted notice of its contents and the decisions those contents reflected. Even if there had been no prior notice, Student did not prove that Mother was unaware of the withdrawal of S/L services, so there was no apparent consequence of any failure to give prior written notice. Comments in the IEP document indicate that Mother was looking into speech therapy, which suggests that Mother knew S/L was being omitted from the IEP. 42. Student also argues that the District failed to give prior written notice of its “decision” to cease academic instruction from August 28, 2006, to August 1, 2007. However, the evidence showed that no such decision was made. Both Mother and the District sought an academic teacher for Student. The District did not find one, but Mother did, whereupon the District contracted with the teacher for academic services. Since no decision to cease the services was made, no prior notice was required. 43. The District had, in SY 2007-2008, the same knowledge it had in SY 2006-2007 that Student might have excessive hearing sensitivity. 44. In a 2007 report, Ms. Kressyler wrote to the District that Student “is easily overwhelmed by different pitches and frequencies of sound and by loud sounds and noisy environments.” She added that he covered his ears in an attempt to block out sounds, and sometimes was driven to misbehavior by the sounds. 45. In preparation for the January 2008 triennial IEP meeting, a school nurse gave Student a hearing screen and checked on a form that he had “passed.” The nurse did not testify, and the record does not reflect her qualifications to administer or interpret hearing tests. Nor does it contain anything about the test administered, or any indication that the test was designed to measure the sensitivity that Student displayed. 46. On February 1, 2008, Gene Hurwin assessed Student for OT needs. In his report, Mr. Hurwin recommended that Student receive an evaluation from a licensed audiologist to design and administer a listening program like Tomatis to assist Student in accessing the school curriculum. 47. Although Mr. Hurwin’s recommendation was discussed at a February 6, 2008, continuation of the triennial IEP meeting, the District did not act on it. 48. Throughout SY 2007-2008, the District had ample reason to suspect that Student might have had a hearing disability and needed an audiological assessment. Its failure to provide the assessment denied him a FAPE. 49. For the same reasons as in SY 2006-2007, Student had a unique need for auditory intervention that the District ignored. The District’s cursory evidence that Student passed a nurse’s hearing screen was substantially outweighed by the specific observations and testimony of Mother, Mr. Akopyan, and Ms. Kreyssler, and by Mr. Hurwin’s OT report. The evidence showed that Student’s hearing sensitivity continued to impede his access to his education, and that the District, in failing to address that need, denied him a FAPE. 50. In a Functional Behavior Assessment dated January 20, 2008, behaviorist Sofia Sanchez recommended that Student receive intensive behavior therapy using the principles of Applied Behavior Analysis (ABA). She recommended ABA therapy for a minimum of 10 hours a week, 40 hours per month; the continuation of a one-to-one behavior aide to assist Mother in transporting Student to and from school and therapy for a minimum of 4 hours a day, 5 days a week; and two meetings a month to discuss the behavior program. 51. The IEP team met on January 24, 2008 for Student’s triennial review. The District promised to arrange a behavioral assessment, and proposed an assessor who was unacceptable to Mother. Instead of seeking another assessor, the District abandoned its assessment effort. The District had before it only Ms. Sanchez’ assessment and recommendations. It accepted only the recommendation that the service of the behavioral aide be continued. It did nothing else to address Student’s behaviors. It did not pursue an assessment, write a BIP, or accept the BIP Ms. Sanchez attached to her report. It did not offer the services of a behaviorist. 52. The uncontested evidence showed that the troublesome behaviors Student displayed in the previous school year continued and worsened in SY 2007-2008. By failing to address Student’s unique need for intensive behavioral intervention, including a BIP, the District denied him a FAPE. Counseling, parent training, nursing, and adapted physical education (APE). 53. The IEP of December 13, 2006, signed by Mother, did not require the District to provide counseling, parent training, or nursing services. APE services were promised, and the testimony of Mr. Akopyan established that the APE services were provided. However, Mother did not produce evidence that Student had a unique need for counseling, parent training, or nursing in SY 2007-2008, so the District did not deny Student a FAPE by failing to offer or provide those services. 54. The January 24, 2008 IEP reinstated S/L services to Student and continued tutoring services. Student claimed in his complaint that those services were not actually provided. However, Mother testified at hearing that S/L and tutoring services were provided beginning in January 2008, and there was no contrary evidence. Therefore, there was no FAPE denial. 55. Student alleges that the District failed to provide prior written notice of its decision in the January 24, 2008 IEP that it would not accept most of Ms. Sanchez’s behavioral recommendations. However, Mother was present at the meeting. She signed the IEP, which indicates she knew what it did, and did not, contain. There was no evidence that she was unaware of the District’s action, or that any separate notice would have mattered. The District did not fail to provide prior written notice of this action. 56. Student alleges that the District failed to provide prior written notice of its decision not to accept Mr. Hurwin’s recommendation in his OT assessment that an auditory evaluation be obtained. However, the evidence showed that his recommendation was discussed but not accepted at the February 6, 2008 IEP meeting, which Mother attended. There was no evidence that she was unaware of the District’s action, or that any separate notice would have mattered. The District did not fail to provide prior written notice of this action. 57. Finally, Student contends that the District denied him a FAPE because it failed to offer him the only placement that was appropriate for him in SY 2007-2008, continued home instruction. This contention is addressed as part of the District’s issue. 58. The District’s attempts to persuade Mother to accept placement in another NPS culminated in a letter offer dated July 21, 2008 (the offer). The District offered to place Student in Canyon View School (CVS). Mother declined, and on August 7, 2008, the District filed its request for due process hearing, seeking an order that the offer was an offer of FAPE and could be implemented without Mother’s approval. 60. CVS is a small private school in San Dimas, about twenty minutes away from the District’s office. Its students are autistic, emotionally disturbed, and/or victims of traumatic injury. 61. The District produced substantial evidence that the program at CVS would be appropriate for Student and would provide him a FAPE. Catherine Ols, CVS’s Executive Director, and Carla Walden, CVS’s Behavior Specialist, reviewed Student’s most current psychoeducational, S/L, behavioral, OT, and nursing assessments, and testified, based on their reviews, that CVS would be an appropriate placement for Student. It provides academic instruction, S/L, and behavioral support. It provides many group activities ranging from recreation to speech therapy. 62. Ms. Walden is a licensed psychiatric technician and can administer Student’s psychiatric medications. She reviewed Student’s current drug regimen and testified that she serves many students taking the same medications. 63. Ms. Ols testified that CVS staff were used to handling behavior problems such as those presented by Student. John Mann, the principal of CVS, spoke to Mother about Student’s behavior. He testified that CVS had experience in handling such behavioral issues. Mr. Mann observed that all students have one-to-one behavioral aides and individualized behavioral plans, and that CVS’s practices of behavioral control have so far prevented any biting or injuries requiring hospitalization. 64. Student presented no evidence that CVS could not meet Student’s unique needs. Instead, Student contends that Student is not ready to move to CVS because he is in the middle of a destabilizing change in medications, and because CVS cannot by itself furnish all of the services promised in the proposed IEP. 65. Student contends that his course of medication is undergoing significant changes that will undermine his stability, and that his placement should not be changed until stability is achieved. This is the basis for Student’s contention that continued placement at home is the only appropriate placement at this time. 66. Student’s doctor and psychiatrist are attempting to remove psychotropic drugs from Student’s medications. Paul Brown, M.D., has treated Student since May 2007, as a psychiatrist. He has prescribed Invega, Vyvanse, Clonidine, Zoloft, and Seroquel for Student. However, Dr. Brown testified, for Student’s long term health, it is desirable that he not continue to take psychotropic medications. Due to Student’s speech limitations, it is impossible to determine the effects of the changes in medications by talking to him. Medication changes, therefore, have to be evaluated by Student’s changes in behavior, which would be extremely difficult if his placement were changed. A baseline must be established before any evaluation of changes of medication can be made. It will take until approximately June 2009 to determine the results of gradual medication changes. Dr. Brown does not recommend a change in school placement for Student while he is going through changes in his medications. If it is absolutely necessary to change Student’s placement, Dr. Brown testified, a period of gradual transition is necessary to ease Student into a new school setting. Student may in the future be able to attend a NPS if it is the right environment to meet his needs. 67. Mark Geier, M.D., is a geneticist with the Genetic Center of America in Maryland, and the Director of the Institute of Genetics. He is board certified by the American Board of American Genetics and specializes in genetics related to autism. His current practice includes 500 children with autism. In May 2008, Dr. Geier examined Student and performed extensive testing, including a complete medical workup of Student. After reviewing Student’s test results, Dr. Geier established that Student has a high androgen level with a high testosterone level. Dr. Geier’s goal is to control Student’s aggressive behavior without using the current regimen of five anti-psychotic drugs, which will likely lead in the long term to liver, kidney, and brain damage. Dr. Geier has started Student on Aldactone for the first level of testosterone treatment, and plans to move to Androcur. Dr. Geier does not recommend a change of educational placement while Student’s drugs are being stabilized. To allow for proper analysis of the effect of his drug changes on Student’s behavior, Student’s environment should stay the same for now. 68. Ms. Kreyssler also recommended against a change of placement while Student’s medications are being changed. If Student’s placement is changed, it should be done gradually, allowing Student to use his current service providers for a period of time before they are phased out. Behavior specialist Sanchez generally agreed with that view. 70. The District argues that Student can manage the effects of medication change while at CVS because Dr. Geier testified he had students undergoing such a change while at public schools. However, each child is different. The fact that some other students can attend school while undergoing such a change in medications does not prove that Student can do it. 71. The preponderance of evidence showed that changing Student’s placement at this time would disrupt the substantial change in his medications that he is now undergoing and exacerbate his behavioral difficulties, and that Student needs to be in a stable environment until approximately June 2009. 72. Although the District’s offer included five hours a week of S/L services, the evidence showed that CVS, by itself, could only provide three hours a week when the offer was made. It also could not provide behavorial services for all five days of the week, or the offered transportation to recreational therapy sessions at Leaps and Boundz (Mr. Akopyan’s employer), or to a warm swimming pool, which Student’s therapy requires. From this Student reasons that, when made, the offer promised services that the District could not provide. 73. However, Student’s argument incorrectly assumes that only CVS would be providing Student’s services. Ms. Ols of CVS testified that although CVS’s own staff cannot provide certain services like S/L all five days of the week to its current students, those services are supplemented by outside providers. In addition, the District can furnish providers for services CVS cannot always provide. The District offered several services five days a week, and under the IEP, if approved, would be responsible for ensuring that those services were fully delivered. 75. A full academic program is available to Student at CVS, and Student does not argue otherwise. 76. The nonacademic benefit to Student of mixing with other students at CVS is substantial. Student is currently isolated and has no relations with other students. Dr. Robert Rome, a psychologist highly experienced in assessing autistic children and performing evaluations for school districts, testified that interaction with other children would be good for Student, as did Dr. Brown. A major purpose of the IDEA was to end the segregation of disabled students. That is why Congress required that disabled students must be placed with other students to the maximum extent practicable as long as they can be educated satisfactorily. In this respect, placement at CVS is greatly preferable to Mother’s preference for continued placement at home. 77. As discussed above, the District met its burden of proof that Student’s behavior could adequately be managed at CVS. There was no evidence to the contrary. 78. On balance, placement at CVS is the LRE for Student. In his closing brief, Student does not argue otherwise. 79. The District proved by a preponderance of evidence that its offer of July 21, 2008, constituted the offer of a FAPE. Ordinarily that would entitle it to the relief prayed, which would allow the District to implement the July 21, 2008 offer and transfer Student to CVS immediately. 80. However, Student proved that an immediate change of placement would endanger his behavioral stability and interfere with the supervised change of medications he is enduring. He also proved that this period of instability and change will last until approximately June 2009. It is therefore equitable to allow the District to implement its offer of FAPE after that period ends, which, as a practical matter, will be the beginning of SY 2009-2010. 81. Because of the several denials of a FAPE by the District in SYs 2006-2007 and 2007-2008, Student is entitled to substantial compensatory education. That compensatory education will best be afforded him between now and his transfer to CVS, because after his transfer his educational program will be full, and it is not apparent that he could tolerate, or benefit from, compensatory education in addition to, and contemporaneous with, his education at CVS. 83. The District reasonably requests that compensatory education, if any, be delivered outside Student’s home and be completed by 6 p.m., and Student does not oppose those requests. However, the District must then be responsible for transportation to and from the site of service delivery. Further, the District may provide the services using qualified District personnel or by contracting with qualified private providers. 1. Under Schaffer vs. Weast (2005) 546 U.S. 49 [163 L.Ed.2d 387], the party who filed the request for due process has the burden of persuasion at the due process hearing. The District therefore bears the burden of proving the single issue on which it filed. Student bears the burden of proving all other issues. 1. Based on Factual Findings 7 to 11 and Legal Conclusion 12, the District failed to assess Student in all areas of suspected disability because it had reason to suspect that Student suffered from hearing difficulties but did not assess him in that area, thereby denying him a FAPE. 2. Based on Factual Findings 12 to 23 and Legal Conclusions 1 to 6, the District failed to design an IEP tailored to meet Student’s unique needs in the areas of auditory intervention services, and behavior intervention, including a BIP, thereby denying Student a FAPE. However, based on Factual Finding 24, the District did not fail to address his unique needs for counseling, parent training, nursing, and APE. 3. Based on Factual Findings 25 to 29, and Legal Conclusions 7 to 9 and 10 to 11, the District failed to provide goals and objectives for S/L services, even though it recognized Student’s unique need in that area, thereby denying Student a FAPE. 4. Based on Factual Findings 30 to 38 and Legal Conclusions 1 to 6, the District failed to provide promised services in the areas of academic training, speech and language, behavior, counseling, parent training, tutoring support and nursing. These failures were material and substantial and denied Student a FAPE. 5. Based on Factual Findings 39 to 42 and Legal Conclusion 14, the District did not fail to give Student prior written notice of its failure or refusal to offer S/L services in the December 9, 2006 IEP, or academic instruction from August 28, 2006, to August 1, 2007. 6. Based on Factual Findings 43 to 48 and Legal Conclusion 12, the District failed to assess Student in all areas of suspected disability because it had reason to suspect that Student suffered from hearing difficulties but did not assess him in that area, thereby denying him a FAPE. 7. Based on Factual Findings 49 to 52 and Legal Conclusions 1 to 6 and 11, the District failed to design an IEP tailored to meet Student’s unique needs in the areas of auditory intervention services, and behavior intervention, including a BIP, thereby denying Student a FAPE. However, based on Factual Finding 53, the District did not fail to address his unique needs for counseling, parent training, nursing, or APE. 8. Based on Factual Findings 57 and Legal Conclusions 1 to 6 and 10 to 11, the District did not fail to offer an appropriate placement by failing to offer to continue placing Student in home instruction, and did not thereby deny Student a FAPE. 9. Based on Factual Findings 50 to 52 and 54 and Legal Conclusions 1 to 6, the District failed to provide promised services in the areas of academic training, speech and language, and behavior. These failures were material and substantial and denied Student a FAPE. However, based on Factual Finding 53, the District did not fail to provide promised services in the areas of counseling, parent training, tutoring support and nursing. 10. Based on Factual Findings 55 to 56 and Legal Conclusion 14, the District did not fail to give Student prior written notice of its failure or refusal to offer behavioral therapy as recommended by Sofia Sanchez, or its failure or refusal to offer an auditory evaluation as recommended by Gene Hurwin. 11. Based on Factual Findings 79 to 83 and Legal Conclusion 15, Student is entitled to compensatory relief based upon the District’s denial of FAPE for the time periods alleged. 12. Based on Factual Findings 58 to 78 and Legal Conclusions 1 to 6 and 13, the offer of placement contained in the District’s letter of July 21, 2008, was an offer of FAPE in the LRE and may be implemented consistent with the Order below. 1. The District shall promptly arrange for a full audiological assessment of Student, and shall present an assessment plan to Mother within 30 days of this Order. 3. The timing of the delivery of the services above shall be coordinated among Mother, the District, any private providers furnished by the District, and Student, with consideration of Student’s medical needs. 4. The District may deliver the above services at a place of its choosing away from Student’s home. It may conclude the above services by 6 p.m. each day. It shall, at Mother’s option, either reimburse Mother for mileage at standard state rates if she transports Student to and from the site or sites of these services, or shall furnish appropriate and secure transportation at its own expense. 5. The District’s letter of July 21, 2008, was an offer of FAPE in the LRE and may be implemented at the beginning of SY 2009-2010 at CVS consistent with this Order. 6. All other requests for relief are denied. Education Code section 56507, subdivision (d), requires that the hearing decision indicate the extent to which each party has prevailed on each issue heard and decided. Student prevailed on Student’s Issues 1 A, B (1) and (2), C, D; and Issues 2 A, B (1) and (2). District prevailed on Student’s Issues 1 B (3) and E; and Issues 2 C, D, E, and on District’s Issue.